Preparing for orthodontic treatment or braces involves learning about the types of braces available to you, the process of getting them on, caring for them, and learning how to prevent and treat common problems. 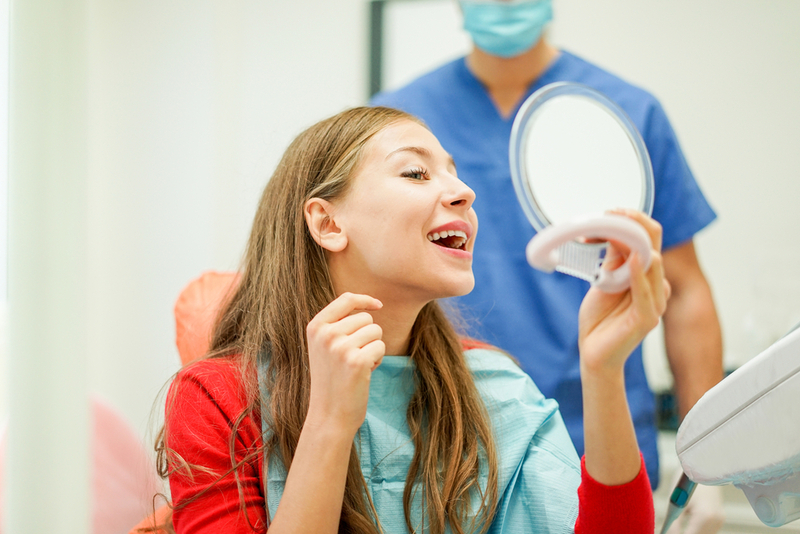 Patient education is our top priority to ensure that you have success with your orthodontic treatment. Choosing the style of orthodontic treatment you use is driven by what your needs are. Certain styles of braces will only work for certain mouth conditions, but other factors to consider are cost, time to completion, maintenance, and aesthetics. To help you narrow down the field of choices, Dr. Hardy will first conduct a thorough examination of your teeth, mouth and bite to see what your mouth needs to function correctly and to achieve your best smile. During your consultation, we will use the information gathered from our examination to give you the orthodontic treatment options you have. Spend some time learning about the types of appliances available to you in our patient education section of our website. Take some time learning about the maintenance of each option so you can make a decision that will work for you, your goals, your lifestyle and your time constraints. Belmar Orthodontics also employs the best current technology can offer for the alloy archwire that runs through your brackets. This wire may seem small and insignificant but it is responsible for the work of moving and straightening your teeth. The strength, durability and power of this wire make all the difference in how long your treatment will take. By employing the best kind of wire technology available to our patients we shorten your treatment time significantly. Patients that are interested in shortening their treatment time are encouraged to spend the time necessary to educate themselves on the proper way to care for your braces. The time and attention you give to daily maintenance will not only protect your teeth, but protect the appliance that is working to straighten them. When you don’t properly care for your appliance by neglecting regular, thorough hygiene, failing to clean it properly, or eating foods that are on the “do-not-eat-with-braces” list you will delay your beautiful results. Tooth decay and broken appliances can sabotage your efforts toward a better functioning smile. Don’t cut corners with your orthodontics. Your dedication to excellent care will pay off–and save you money from repeated doctors’ visits and fixes. When you first receive your orthodontic appliance expect a period of transition and adjustment. The soft tissues of your mouth will not be used to having aligners or brackets and wires in them. You will have some tender spots that you will need to care for as your mouth adjusts. This period of adjustment DOES pass. Before you know it, you won’t even realize your appliance is there. Each patient’s adjustment period is different but, on average, it take about 4-7 days for the soreness and adjustment to stabilize. We will prepare you for this with excellent information and patient education on common problems so that you don’t have to fear the adjustment period. We are available whenever you need us to offer support and to make this period more comfortable for you. Remember, your orthodontic treatment is creating a new smile for you–a more functional, attractive smile that you will have for the rest of your life! Your time with braces will pass in a flash! Enjoy this once-in-a-lifetime period! If you are considering orthodontic treatment, but aren’t sure if you need it or what form to have, call for a consultation today. We can evaluate your need for orthodontics as well as discuss your options for orthodontics today. Life with braces brings exciting changes, and sometimes some challenging adjustments too, but the end result is a healthier you! Belmar Orthodontics can help you obtain a healthy, functional, attractive smile. If you think you need braces, our online patient education can help answer any questions you may have, and our friendly staff is always available to help. Call 303.225.9016 today to learn more about braces or to schedule an appointment. Dr. Hardy is committed to your care and will help you reach your smile goals as quickly and efficiently as possible if you need braces.